Some of Italy’s best sweet wines come from a Mediterranean, volcanic island just 60 km from Tunisia. The island is only 15 km long but home to some of the world’s most unique vineyards. In addition to high summer temperatures, moderated by the surrounding sea, the most distinctive element in its terroir is the strong hot, scirocco winds that come out of Africa on their way to Sicily and southern Italy. The dry heat of Pantelleria is perfect for producing the sun-dried Zibibbo grapes used to make the delicious sweet wine Passito di Pantelleria. 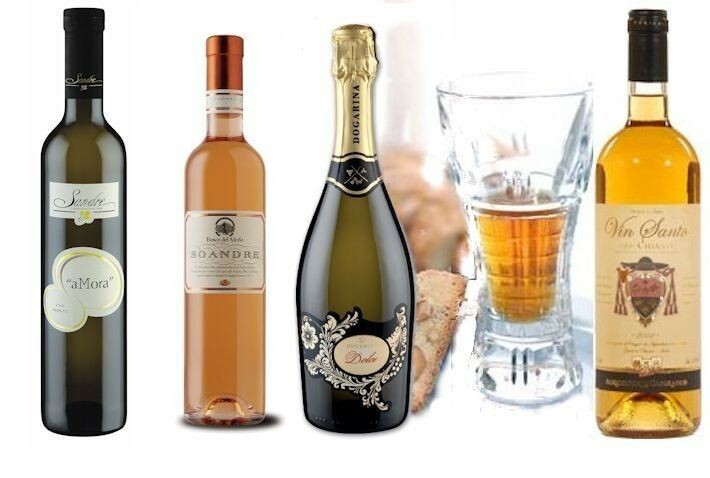 Why is Italian dessert wine so expensive?…. The once fresh grapes used to make Italian dessert wines are dried to raisins for 6 months to intensify the flavour and natural sugars. Then it takes about 6 kilos of these dried grapes to make a small 500 ml (1/2 Litre) bottle of dessert wine. Pantelleria is said to produce the finest Italian dessert wines or ‘Passito’ as you will see them on wine menus in Italy. However the most Internationally known dView Postessert wine is a Vin Santo from the Tuscany region.